The Jaguar F-TYPE is one of the most dynamic sports cars on the road today, and you can find it now in both coupe and convertible configurations near Malibu at Hornburg Jaguar Santa Monica. Delivering up to 575 hp, precision handling, the new F-TYPE is also offered with premium features like premium leather upholstery and the latest in Jaguar InControl® infotainment. 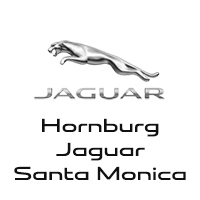 This world-class sports car is now available for less near Manhattan Beach when you take advantage of the Jaguar F-TYPE lease deals at Hornburg Jaguar Santa Monica. The new Jaguar F-TYPE is available to lease or finance right now at our dealership in Santa Monica. Here, our sales team is standing by to answer any questions you might have. Count on us for all your Jaguar service needs as well, and don’t hesitate to contact us today.